Only in America (Minneapolis), there are plans to install ten drinking fountains designed by artists, a good idea some might argue, the public gets drinking water and some art to look at and admire costing but the project will cost a whopping total of $500,000. Can spending that much on water fountains be justified? We think so, especially when you’re getting a two for one deal with the art thrown in as well. 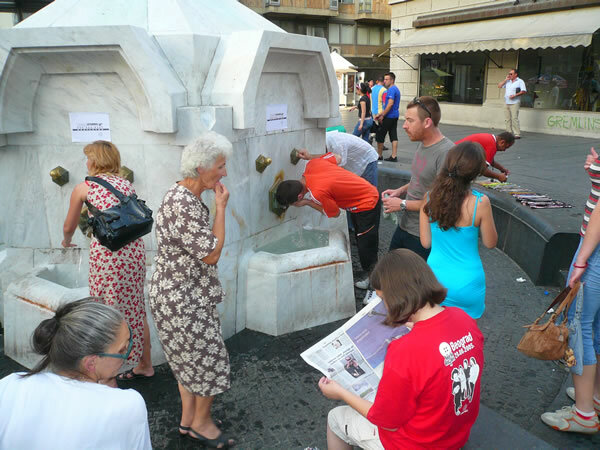 Public places need outdoor drinking fountains to keep everyone hydrated. It’s also a great way to save on buying bottled water everytime you get thirsty. Having drinking fountains that look glorious as well is practically killing two birds with one stone as far as we’re concerned. The City of Minneapolis annual public art budget is actually pretty small compared to most cities of our size. That is because most cities actually have much larger capital budgets because their governments and government budgets are larger.